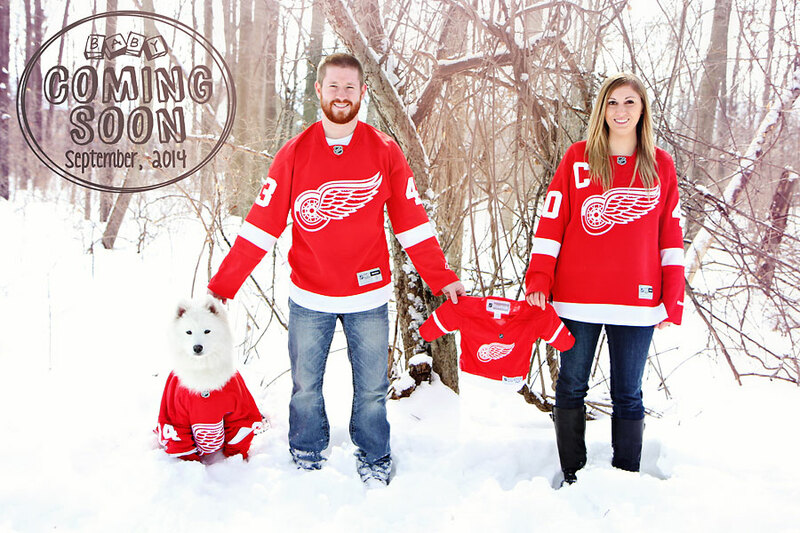 The Red Wings have a new little fan! How cute is this picture I took for my sister and brother in law?!?! I've been so excited to share this here. Not only do I love their adorable idea for a pregnancy announcement picture, but I'm also excited because it means I finally get to be an aunt! I sense many more photoshoots with this baby :) On a side note, check out their super cute dog, Dakota...she's wearing a normal adult sized jersey which cracked me up!